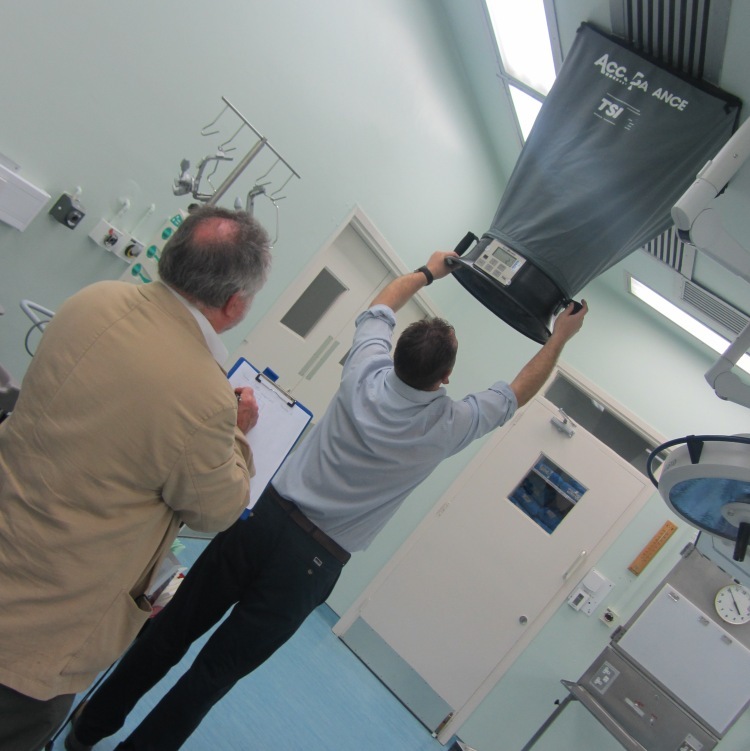 Offers testing and validation services of the hospital and industrial ventilation systems. We offer extensive knowledge and expertise in the sector and will ensure the necessary validation work is carried out to fit in with your tight theatre schedules. The key tasks undertaken are airflow measurements, pressure cascades, particle counting, microbiological sampling, and auditing of air handling units. New and old healthcare ventilation systems vary in complexity and any design or performance shortcomings can have potentially serious consequences in the battle to control airborne infection. Under-resourced and overworked hospital engineers, theatre managers and infection control departments can rely upon assistance from IOM to comply with HTM03-01 and HTM2025 in critical decision making that affects patient care in operating theatres and general healthcare environments. Copyright © 2015 Orphanos Group of Companies Cyprus. All rights reserved.